This is my second time typing this. The former one briefly appeared before Typepad decided to randomly delete it. Sigh. 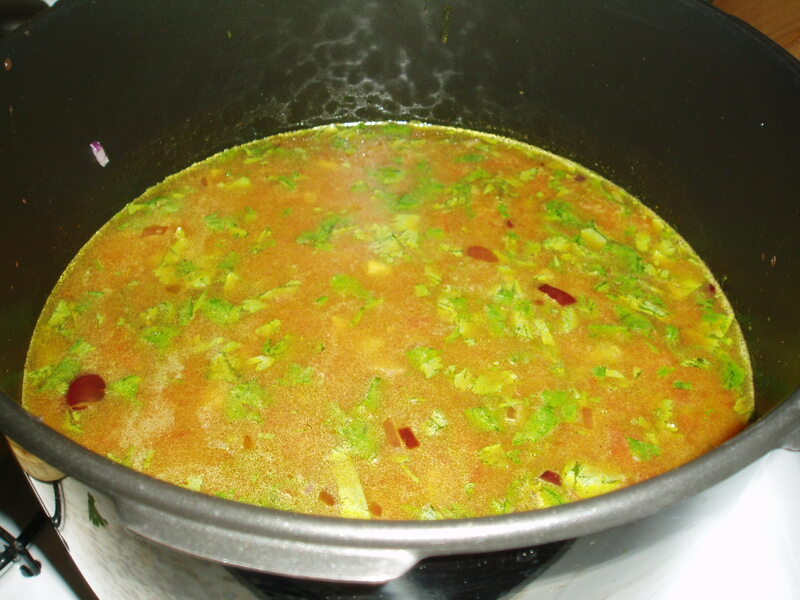 Well, I'm not a Muslim, but Allah was influencing me yesterday because I pulled out a clipping of a recipe for Harira, Moroccan Chickpea Soup, that I cut from Gourmet magazine eons ago. It's a traditional break-the-fast food (at least according to the intro in the magazine) during Ramadan, which ended yesterday. Not quite at the level of an Eid feast, but I still think it's appropriate that I happened to make it at the end of the holy month. It may be a simple dish, but my tastebuds were having a festival. 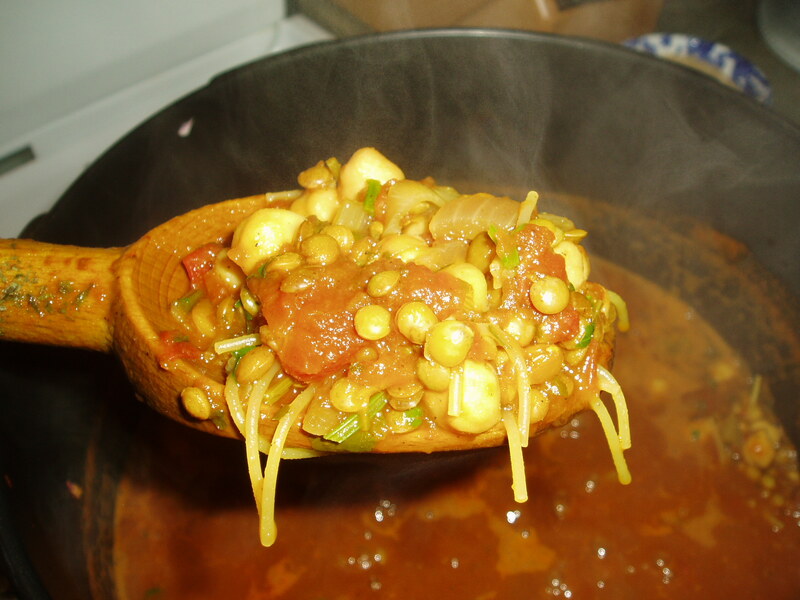 Soak chickpeas in water to cover to 2 inches overnight or 8-12 hrs. Rinse & add them w/ 8 c of water into large pot. Simmer uncovered for 1 1/2 hrs. Remove from heat and drain, reserving liquid. If you have less than 2 c, add to make 2 c.
Bon Appetit and Insha'allah, you'll love it as much as I did!